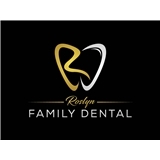 Alla Hart, DDS, PC; Roslyn Family Dental, PC (Bayside) - Book Appointment Online! From the moment you walk in the door at Alla Hart, DDS, PC, you will be welcomed by a friendly staff, offering a number of services for you and your family. Practice Established in 2003. Our office offers superior Family Dentistry! Whether your kids need a teeth cleaning or mom and dad needs a root canal, you can trust Dr. Hart to do the job. Come visit us today and see for yourself what a great, caring environment our office provides for our patients. We pride ourselves in being available to you when you most need us. That is why we are here for you on weekends! Dr. Yelena Mikhaylova and staff gave me the best experience I ever had at the dentist. The staff was very professional and polite. They made sure all my questions were asked and answered. Adding to their excellent professionalism was Dr Mikhaylova’s gentle work. Her hands were very steady and I was very comfortable on that chair. They seemed very passionate in their work which was what really inspired me to write this review. Because I think that’s what matters most in any profession. We were able to discuss all my options and the whole process was not rushed like most dental offices. I would definitely recommend Dr. Mikhaylova to anyone and most definetly will be coming back here for check ups. I loved the visit she was excellent and had very gentle hands .